The Constitution was “proslavery in its politics, in its economics, and its law.” The result, an alumnus argues in a new book, was A Slaveholders’ Union. Judging from their actions, most early Americans did not view ending black slavery nationwide as an important objective of the American Revolution. Just before the war, slavery was under increasing political and legal fire, which the Revolution intensified somewhat in parts of the country, but it was a wealthy, established institution that was still widely regarded as legitimate and necessary to the future growth of the southern states—states deemed essential participants in the revolt against Britain. The Confederation government accordingly protected slavery in important ways. Gradual abolition, though an important achievement of the new nation, took place only where it would not cause significant political, economic, or social disruption for white taxpayers who feared abolition’s effects. 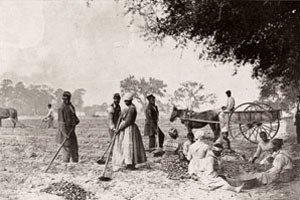 Northern abolition occurred only where slavery was marginal in socioeconomic terms, and it progressed as slavery became more marginal there toward the end of the 18th century. Most northern whites benefited as much from abolition as slaves and their children did. The labor policies that replaced slavery and indentured servitude encouraged white immigration eagerly sought by landed whites, while white workers found that abolition increased their mobility and eliminated slave-labor competition. In contrast, these same policies effectively disadvantaged free blacks, who faced continuing discrimination in competition with whites for jobs and land. In the northern states, racism played an important role in the form abolition took. White majorities were happy to be rid of slavery, but at least some whites were pleased by the prospect of getting rid of blacks. White support for abolition therefore sometimes involved weak enforcement or loopholes in laws, such as permitting blacks’ removal from their states through kidnapping or slave sales, and through an unwillingness to protect fugitives. These states usually legislated abolition with generous de facto compensation for slave owners. Much of the compensation was probably not constitutionally required, since it depended on the extent of vested rights in slavery, which was fairly debatable within the English common-law tradition after the 1772 British slave case Somerset v. Stewart. But granting “liberal” protection at blacks’ expense avoided more divisive disputes over slavery among white taxpayers. Whites refused to provide taxpayer funds for slaveholder compensation, forcing black slaves, through years of labor on their part and their children’s, to buy their children’s freedom. That refusal could be attributed to racism, but it also seems to have reflected a widespread feeling that financing the ending of slavery should be a private, not a public, responsibility. Racism and solicitude for property rights (including opposition to redistributive taxation) each probably played some role in the parsimonious form taken by northern abolition. Yet many northern white racists did oppose slavery and supported gradual abolition even while continuing to oppose civil equality for blacks. The Constitution was an obstacle to ending black slavery in America. It was proslavery in its politics, its economics, and its law. The critical question is why. In drafting the Constitution, the Founders were centrally concerned with creating a new framework for continental government. That framework had to respect Americans’ concerns about both political liberty and political power because national unity—and national strength—depended on it. By the late 1780s, a majority of Americans wanted to create a union with a strong republican government capable of creating a continental empire; but to preserve liberty within that empire, they also wanted a government based on federalism principles. The Constitution’s proslavery character was a necessary result of its drafters’ efforts to endow the national government with strong military, fiscal, and commerce powers and to suppress sectional conflict while also adopting federalism as its core structural principle. If the new republic’s government had not met all of these goals, the failure likely would have prevented the formation of the Union or led to its early dissolution. But a government that met all of those goals could not have formed, and then territorially expanded as America did, unless it protected slavery and that institution’s expansion. The reason: the federal republic created by the Constitution could not act against slavery at the national level and still be strong enough to support territorial growth into the West and to govern a continental empire. For America to become an empire on that scale, southern states had to be willing partners in the enterprise, and a major part of the price for their allegiance was the continued protection and expansion of slavery. To pursue a continental empire with slave state support, the early American government would need to acquiesce in and protect slavery’s growth. The proslavery Constitution reflected this political reality. The Constitution’s attempt to solve the problem of sectionalism went significantly beyond providing slave wealth representation and explicit protections for slavery. To pursue their economic development, in drafting the Constitution northern states traded a majority-vote federal commerce power for state power to continue slave imports for a generation, despite well-informed (and clearly correct) warnings that this policy would greatly facilitate slavery’s expansion into the western United States. Northern states also accepted a sectional division of national territory through the Northwest Ordinance of 1787 and, in return, informally agreed to abandon their efforts to obtain a Spanish treaty that would have closed the Mississippi River to navigation for decades. These “constitutional” agreements stemmed from the sections’ shared desire to maximize their respective economic development through western expansion, which in turn permitted the unrestricted development of slave economies and slavery’s growth for two generations. The resulting freedom from federal interference during the surge of western expansion was all the head start that slavery needed to escape from significant federal control until its continued expansion became politically uncontrollable—a raging torrent that leaped the banks of the political river. To create a federal republic, Americans were willing to compromise with “constitutional evil” with their eyes open, at least where slavery was concerned. During ratification debates over slavery, the Founders explicitly debated whether the union was a political one only or a moral one as well. The Constitution’s federalism forced Americans to accept that theirs was a political union that inherently required them to tolerate what they saw as evil behavior by their fellow citizens in other parts of the country, whether it consisted of established state churches or of slavery. Bent on the pursuit of economic expansion at home and to the west, the northern white majority chose not to insist on aggressive action against slavery outside the north in making the Constitution or during early national expansion. Instead, in their negotiations over the Constitution and early federal government policies, northern states repeatedly sought to profit politically and economically from allowing slavery’s domain to expand. The early republic’s struggle over slavery’s survival and expansion was principally a result of the ongoing sectional struggle for political sovereignty, a struggle over “the dominion of the Union,” as Rufus King put it. 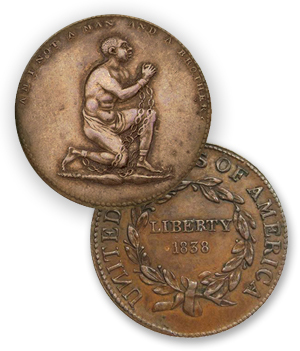 Eighteenth- and early 19th-century moral, religious, and Enlightenment values and Revolutionary ideology played some role in shaping political decisions on slavery, as did negotiations between masters and slaves. However, major decisions about slavery made during the formation of the union, northern abolition, and westward expansion stemmed primarily from white majority self-interest in maximizing economic growth. Those decisions adjusted sectional conflicts over the formation of the union and as the nation advanced westward. During the pivotal Missouri controversy, it was principally the strong northern state interest in providing western land to white settlers that actually advanced the antislavery cause, not abstract northern concern for black rights or equality, or burgeoning moral opposition to slavery. The intimate connection between the expansion of slavery and white majority public opinion supporting economic growth and America’s push toward empire also strongly suggests that the slavery views and actions of individual leaders—even prominent figures such as Thomas Jefferson and James Madison—played a fairly limited role in the ultimate course of slavery’s expansion, particularly when compared to the growing power of public opinion on such issues in an increasingly democratic white republic. The temporizing agreements reached in the Missouri controversy’s maelstrom ratified the long-term existence of slavery, making the slaveholders’ union permanent until it was destroyed in the earthquake of civil war. The Constitution had failed to create a rule of law where slavery was concerned and had instead become a fragile political compact on that issue. The success of the founding generation and its descendants in deferring the sectional problem of slavery for four generations may seem to some a credit to the Founders’ wisdom and foresight. But to others their approach to government will suggest the terrible costs that were involuntarily imposed on posterity by such an intergenerational transfer of profoundly vexing problems, even by a republic committed to human freedom. Adapted from A Slaveholders’ Union: Slavery, Politics, and the Constitution in the Early American Republic (University of Chicago Press) © 2010 by George William Van Cleve. All rights reserved. George Van Cleve’s journey from practicing attorney to expert on the U.S. Constitution’s cultural and political origins began with an interest in a 1772 dispute over a slave’s legal status in England. Now a history scholar in residence at the University of Virginia, Van Cleve, AB’73, took a sabbatical from his law practice in 2003 to research Somerset v. Stewart. His original intent was narrow. A frequent writer on historical topics, Van Cleve discovered Somerset while comparing the British law of standing— citizens’ access to federal courts for complaints against the government—to the American equivalent. The conventional belief was that the American version was a direct inheritance from England; Van Cleve thought U.K. courts had more liberal standards. Somerset offered compelling evidence. A British customs official, Charles Stewart, had brought the slave James Somerset from the colonies to England in 1769. Two years later, Somerset escaped. After his capture, he was to be sent to the West Indies for sale when a citizens’ group intervened. The group, which had no connection to Somerset, filed suit on his behalf, arguing that he should be freed from servitude. The judge, Lord Mansfield, “held that Somerset’s status in England was governed by English law and not by colonial law,” Van Cleve writes in his 2010 book, A Slaveholders’ Union: Slavery, Politics, and the Constitution in the Early American Republic (University of Chicago Press). “It was of profound importance to the history of slavery that in so holding Mansfield conceived of a slave primarily as a person whose legal status was slavery, not as a form of property,” as colonial law deemed slaves. Van Cleve came to believe “this case was really about how the British Empire controlled slavery”—control that could extend from a single plaintiff to the 15,000 slaves in England to the colonies, where the vast majority of slaves were held. That understanding expanded Van Cleve’s interest to include slavery’s role in the Revolutionary era, leading eventually to A Slaveholders’ Union. Writing the book was a seven-year process, beginning at Oxford with the Somerset research, then moving on to the University of Virginia for a PhD—”to give me enough background to be dangerous here,” Van Cleve says. A Slaveholders’ Union argues that the institution’s economic power, and the continental ambitions of the Founders, made preserving slavery essential to maintaining national cohesion and expanding westward. For the new republic’s leaders, Van Cleve says, peace over an issue central to the Revolutionary War was critical to the fractious North–South coalition required to pursue a continental empire.